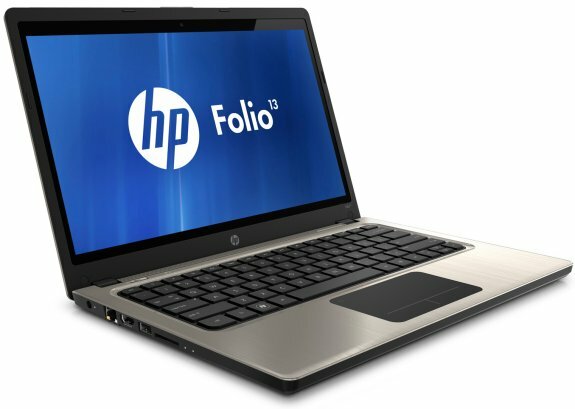 Next month HP will ship the Folio 13, a 13.3" ultrabook targeted at business users. The device is equipped with an Intel Core i5/i7 "Sandy Bridge" processor, it's 18mm thick and weighs 1.49kg. The screen offers a resolution of 1366 x 768 pixels and the left side offers a HDMI output. Storage is provided by a 128GB SSD, and connectivity includes USB 2.0 and 3.0, as well as an Ethernet port. Other features include WiFi, a SD memory card slot, and optional TPM security. Prices will start at $899.99.